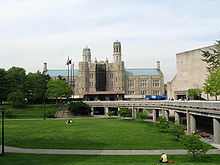 Lehman College, which is a Cuny school located in NYC, is well known for the Lehman College accelerated nursing program. Currently, the nursing department is one of the 14 academic departments within Lehman College. The department began at it’s infancy in 1971. The graduate program was launched in 1976 and has been growing ever since. Among the many graduate and undergraduate programs provided today, the Accelerated Nursing program is the one of great interest amongst current graduates. Lehman College Accelerated Nursing Program is a program that requires applicants to at least have a four year bachelor’s degree. This degree has no discipline requirement or limitation therefore you could have a degree in any major. Apart from the degree, the individual must meet all the requirements and standards set by the Nursing department in Lehman College. Within the Lehman College accelerated nursing program, applicants will be required to follow all the guidelines which is outlined in the brochure named “Bachelor’s of Science Program in Nursing – Generic”. This is where the producers and conditions are detailed. In this handout/brochure, there are two sections that require immediate attention before the applicant decides to contact the nursing department. As a potential candidate of the Lehman College Accelerated Nursing Program, that particular individual will be required to abide by all the eligibility requirements set in the generic handout in the Generic Nursing Program. These eligibility requirements are including but not limited to: pre-requisite courses, testing, valid legal status, and any other departmental requirement satisfactory to the program as a whole. The current incarnation of this program is full-time. Each semester, courses for the accelerated Nursing program will be available. Semesters including winter, fall, spring and both summer sessions. If the candidate is accepted in the program, they are expected and required to complete the program within the confines of a single calendar year.